Some clouds. Low 48F. Winds W at 10 to 20 mph.. Some clouds. Low 48F. Winds W at 10 to 20 mph. Though our name and colors have changed, we remain the same great company with the industry’s finest agents. 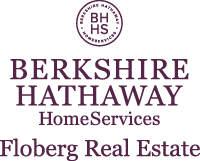 As important, our future has never been brighter as a member of the new Berkshire Hathaway HomeServices real estate brokerage network. The brand is inspired by world-renowned Berkshire Hathaway Inc. – Warren Buffett’s worldwide holding company – and our vision is crystal clear: to be the best-recognized and most highly respected homeownership services brand in the U.S. and across the world.